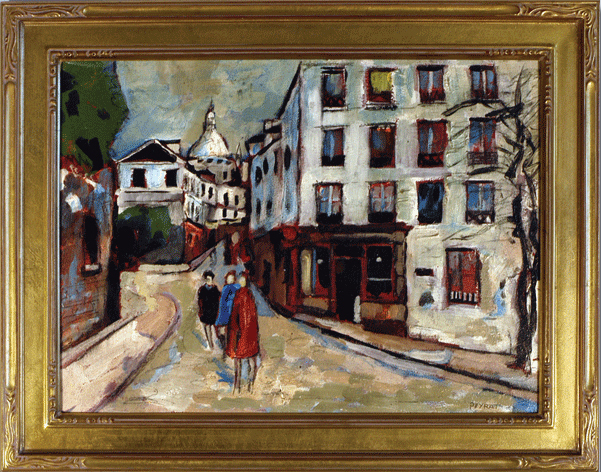 Louise Peyrat is a French born artist who is the cousin of the famous artist Maurice Utrillo, who greatly influenced Louise in his art career as is evidenced by this gem available at our gallery. There has been a recent surge of interest in Peyrat. I have seen much of Louise Peyrat's work and and this piece is one of the finest examples of his talents and one of the finest examples of the influence Utrillo had on Peyrat. Mr. Peyrat is a listed artist with auction records.